This service is available to Engineering faculty and staff only. "Remote Desktop" allows you to display and control a PC remotely but Remote Desktop has known security issues. ENS has designed a secure server to go in between your home computer and your on-campus PC. Once setup, you can easily access your office PC from any appropriately configured computer that has internet access. I have dial-up at home, can I use this service? Technically yes, but there is so much data going back and forth between the computers that it will be excruciatingly slow. Hence, we do not recommend using this service except on a high speed connection like Cable Modem or DSL. 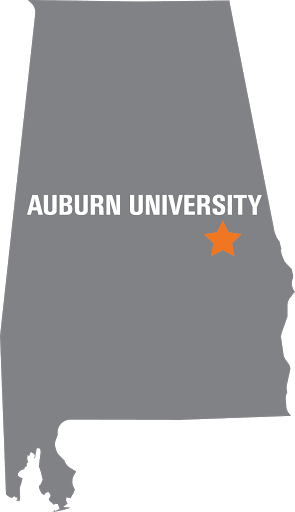 With this service, can I access my AU office PC from a corporate or university network? Yes. You will be able to access your office PC from any computer that has high speed internet access with one exception. Some corporate and university networks block Remote Desktop at their firewalls. In those cases, it will not work. This is something we have no control over. I have a Mac at home and want to connect to my PC at work. Can I use the service? Yes, there is a remote desktop client for the Mac. You will need to download a Microsoft Remote Desktop Client from the Apple App Store. My engineering office computer is a Mac/Linux machine. Can I use this service to connect to this office machine from off campus? No. This service only allows access to office PCs running Windows. Is this service available to my graduate assistants? This service was purchased with the same Microsoft agreement that Office is purchased with. Click here to visit the Engineering Remote Desktop Portal. Once you have logged in, click Request Remote Access and fill out the form. We will email you once the request has been approved, and an icon for the computer will appear under the Available Remote Desktop Connections heading on the main page of the portal. Clicking the icon will download a Remote Desktop file that can be run to automatically connect.